Puerto Ayora is the biggest town in the Galapagos Islands. 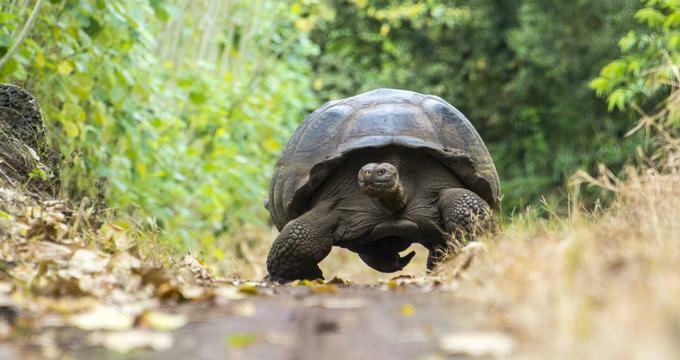 It is located on the southern shore of Santa Cruz Island, one of the many Galapagos Islands owned by Ecuador and lying about 620 miles from the western coast of Ecuador. The Galapagos Islands lie on the equator - some islands are in the Northern Hemisphere while others are in the Southern Hemisphere. There are two seasons in Puerto Ayora: the rainy season extends from January through April and there is significant rainfall. The second season is the dry season from July to November which many consider the best time to visit Puerto Ayora, Galapagos. January is usually the hottest month of the year in Puerto Ayora while July is the coolest month. January brings nights and warm days to the exotic locale of Puerto Ayora. The average high temperature hits 88°F (31°C), while the average low temperature hovers at around 70°F (21°C). Meanwhile, days see a relatively low amount of sunshine thanks to a 4-hour daily average of sunlight. Puerto Ayora Weather in February: The second wettest month of the year in Puerto Ayora is February. Precipitation averages hits 104 mm, bringing a moderate amount of rain. Although the average low temperature stays the same at 70°F (21°C), the average high temperature decreases by 2-degrees to 86°F (30°C). In March, Puerto Ayora receives its hottest temperatures of the year. The average high temperature measures in at 88°F (31°C). Meanwhile, the average low temperature holds steady at 70°F (21°C). April sees the low temperature average staying at 70°F (21°C) for the fourth month running. The high temperature average also stays the same at 88°F (31°C). Puerto Ayora Weather in May: Days are gloriously sunny in May as Puerto Ayora gets 7 hours of daily average sunshine – the highest of the year. It’s also the wettest month of the year, receiving the top precipitation rate annually, 120 mm. While the average low temperature continues to hold at 70°F (21°C), the average high temperature decreases to 86°F (30°C). 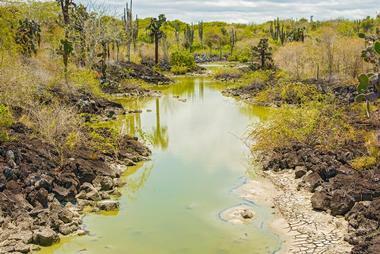 In June, the coolest temperatures of the year hit Puerto Ayora. The low temperature average changes for the first time in 5 months, decreasing to 68°F (20°C). The high temperature average also decreases further to 84°F (29°C). July sees the daily average of sunshine decrease to 6 hours. Meanwhile, both the average low and average high temperature go down, measuring in at 66°F (19°C) and 81°F (27°C) respectively. Puerto Ayora Weather in August: Puerto Ayora sees the lowest precipitation averages of the year and expects just 13 m of rainfall. Evenings are quite cool at 66°F (19°C) for the average low temperature while 84°F (29°C) is the average high temperature. In September, the low temperature average remains at 66°F (19°C) for the 3rd month in a row. Meanwhile, the average high temperature decreases by 3 degrees to 81°F (27°C). October welcomes a tad bit more rainfall as the precipitation average rises to 27 mm. The high temperature average gets a bump back up to 84°F (29°C) while the low temperature average remains at 66°F (19°C). Puerto Ayora Weather in November: In general, temperatures in November see a small upward increase. The average low temperature increases to 68°F (20°C) while the average high temperature rises to 86°F (30°C). In December, the precipitation rate decreases ever so slightly to 22 mm. Both the average high and average low temperature remain the same at 86°F (30°C) and 68°F (20°C). 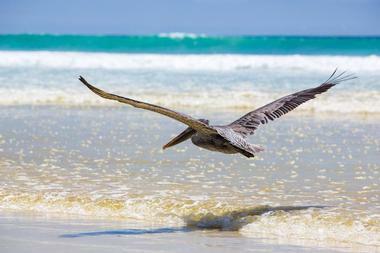 No matter what time of the year you visit the Galapagos Islands, you’re bound to have a fantastic holiday since there is generally no off season. If you want to avoid seasons with high influxes of tourists, it’s best to visit between February to May and September until mid-December. If you are keen on seeing the Waved Albatross, the best time to visit is in the spring or summer months to catch their migratory patterns. 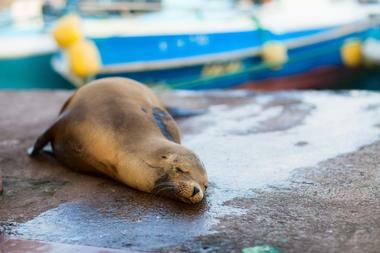 Otherwise, animals like the Galapagos hawk, Galapagos penguin, fur sea lion and more can be viewed the entire year. 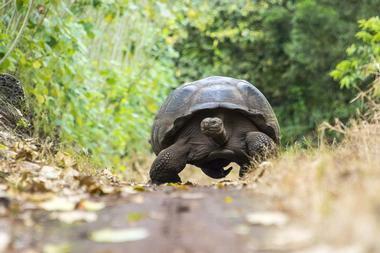 Most visitors fly from mainland Ecuador to the Galapagos Islands. 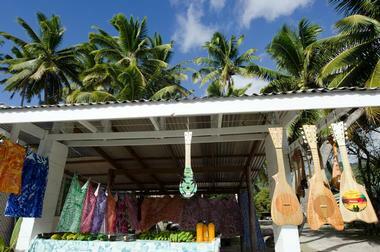 Baltra Airport lies on Baltra Island, a small island just north of the island of Santa Cruz. Flights arrive from Quito and Guayaquil, both in Ecuador. The Baltra Airport is quite small and has just a few facilities. Another way to arrive in Puerto Ayora is by boat. There are lanchas, or speedboats, that travel from several of the other islands to Puerto Ayora on Santa Cruz: these islands include Floreana, Isabela, and San Cristobal. The rides can be rough, so if you don’t like adventure or seasick bags, don’t try this. After your three hour flight from mainland Ecuador, you will arrive at the small Baltra Airport on the tiny island of Baltra and will take a shuttle bus to the southern coast of Baltra. This island is so close to the northern tip of Santa Cruz Island that you could easily swim the channel if you didn’t have any luggage. There is a small ferry that shuttles visitors between the two islands. Once on Santa Cruz Island, it’s about a 45 minute trip from the north of the island to Puerto Ayora on the southern coast of the island. Public buses, taxis, and vans take visitors to Puerto Ayora. Although it is the largest city in the Galapagos Islands, Puerto Ayora only has a population of 12,000 people, so it’s a small city. It is very easy to explore by foot. Puerto Ayora is a picturesque port town with lots of sun, seabirds, and sailboats. One of the first things that visitors head for is the Charles Darwin Research Station: like many other things in Puerto Ayora you can easily reach this by walking. The main street is Charles Darwin and it runs from east to west along the bay. Cycling is a fun way to explore the city and also the areas outside of the city. 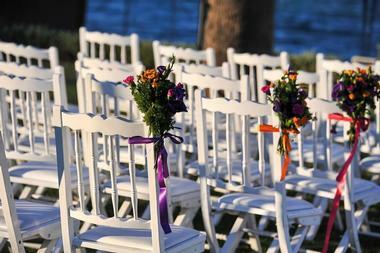 The Galapagos Islands are so spectacular that it’s a popular place for weddings. Foreigners are permitted to get married in Ecuador: it’s just a matter of gathering and getting all of the paperwork processed. After finishing this process it’s time to pick your wedding venue. If you are interested in a hotel or resort weddings here are some of the best choices: the Angermeyer Waterfront Inn, the Finch Bay Eco Hotel, the Isla Sol by Hotel Solymar, and more. There are so many stunning landscapes that you might want to consider an outdoor wedding along a sandy beach or on black lava with the sea as your backdrop. Puerto Ayora is a popular place to visit, so even though there are many options, it’s best to book your accommodations as far in advance as possible. There are five star luxury properties such as the Red Mangrove Aventura Lodge All Inclusive and several three and four star hotels like the Hotel Brisas Del Pacifico, Hotel Fiesta, Hotel Ninfa, Hotel Verde Azul, and more. There are also many guest houses and bed and breakfasts in Puerto Ayora such as Captain Max Bed and Breakfast, Galapagos Cottages, Galapagos Suites Bed and Breakfast, Hostal Estrella De Mar, and the Galapagos Pearl Bed and Breakfast.